Incentives are omnipresent in our society. Educators use them to promote learning, banks use them to promote online bill-paying, employers use them to promote wellness (and lower health insurance costs). The list is long. Rewarding good performance—or at least the kind of performance you’re trying to encourage—is deeply entrenched in our cultural values. In business, incentives are essentially universal for executives, managers and many senior professionals. Increasingly, companies are offering team or group incentives for non-management employees. The goal is simple—to influence behavior. 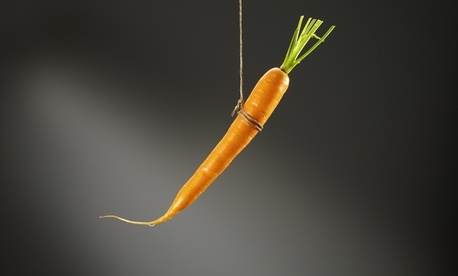 Incentives are a proven management tool. While federal agencies can offer recruiting and retention incentives as high as 50 percent of salary (with special approval), awards for performance are limited, in the aggregate, to 1.5 percent of payroll. In the private sector, consumer behavior and competition prompt companies to frequently rethink strategic goals and operations. To borrow an old phrase, change is the only constant. Adjusting employee performance goals is routine throughout the year. In that context performance pay schemes have three basic goals: 1) aid in recruiting and retaining qualified talent; 2) motivate and support employee work efforts; and 3) focus or highlight what employees need to accomplish. For reasons that are buried in history, government has never embraced performance incentives. The prevailing view seems to be that they are neither needed nor appropriate. As a guess, it’s a continuation of the philosophy that emerged a century or more ago when organizations were managed as machines and employees were expected to do what they were told. The idea of performance standards reflects that philosophy. The bureaucracy imposes multiple barriers to change, starting with the civil service system. The process for job classification is a time warp from Teddy Roosevelt’s days. There are no rewards for high performance—poor performers get all the attention. In contrast to pay systems in the private sector, the General Schedule is completely disconnected from what’s happening in labor markets. Government’s silos have isolated workforce management from the high-level efforts triggered initially by the 1993 Government Performance and Results Act. Now the Trump Administration has taken the initial steps to reform and reorganize executive branch agencies. Significantly, all agencies were told to identify areas that should be eliminated, restructured, or consolidated across departments. Reform is badly needed. Incentives could be important in gaining broad commitment to reform. In any company, incentives would play a role in focusing employees on a new business strategy. That’s true in hospital management as well. While government has embraced the use of pay for performance in healthcare and promoted the practice in education, it has mostly ignored its potential to improve agency performance. The silo walls are high. Incentives are expected to improve performance. That is the reason for linking prospective cash awards to desired results. The practice is solidly supported by the expectancy theory of motivation. It reinforces the importance of accountability. There is extensive evidence going back decades that incentives—if they are well designed—produce better results. But there are many examples of poorly-designed incentives pushing people to act in ways detrimental to their organization. Note the recent headlines about Wells Fargo’s sales scandal. Government is not immune to such problems: Several years ago, physician bonuses linked to patient wait times in Veterans Affairs hospitals rewarded doctors for minimizing the number of patient follow-up visits, not always to the benefit of patients. Normally, payouts are linked to an organization’s success. That explains the use of profit sharing. Staying with healthcare, hospitals rely on incentives linked to patient satisfaction. Hospital executives participate in incentives conceptually very similar to the common business model. That logic is the basis for virtually all incentive systems at every level. That includes companywide incentives, team or group incentives as well as the individual incentives found in sales. Athletes and entertainers also have incentives. Every sector, except government, regularly uses incentives in some way. The common thread is reliance on goals and incentives to motivate improved performance. The basic model for incentives is an equation that links expected payouts with performance metrics. It’s based on performance planning and goal setting. At the executive and manager level, organization and individual goals are linked to prospective payouts defined as a percentage of salary. The practice has seen minimal change for half a century. Government has a somewhat comparable practice for members of the Senior Executive Service. The use of incentives is completely consistent with the purpose of GPRA and subsequent legislation. However, for reasons that are not apparent, the effectiveness of SES practices has never been rigorously evaluated. The immediate opportunity to use incentives is with managers and supervisors. There is an old argument that government service is often difficult to measure. However, employees at all levels should be able to state what they are expected to accomplish. Employees also should know what would constitute outstanding job performance as well as unacceptable performance. Investing in incentives for managers would almost certainly payoff. At lower levels, the use of team or group incentive systems has mushroomed over the past 20 years. Those plans also focus on goals and improved performance. The planning always involves the same issues—management needs to agree on the participants, performance goals and metrics, and the target awards. Examples of best practices are readily available along with an extensive literature. As an observer, since the enactment of GPRA, there has been an ongoing, frequently discussed focus on strategic planning, the use of metrics and recently on cross-agency goals. The Performance Improvement Council should expand its discussions to take advantage of the impact of well-planned incentives. Any added costs would be offset by improved results. Reform projects are well suited to group incentives since everyone can expect to benefit. The payments give employees a reason to celebrate together and that reinforces collaboration. The amounts paid will inevitably be less than the cost of failed reform initiatives. But even with incentives, it will be important for employees to play a role in defining goals. They need to see the goals as reasonable and doable—and they most reflect local realities on the ground. The sense of ownership is always important to employee commitment. No other change can be expected to have the same impact.